I have read a few historical highlander books over the years, not enough to be an expert, but enough to know what I like with my Highlanders. 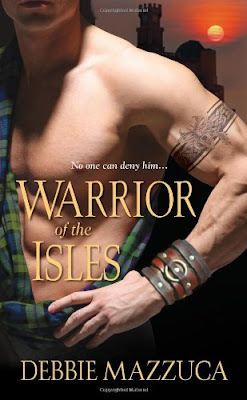 Debbie Mazzuca hits the mark with Warrior of the Isles. I really enjoyed this book from beginning to end and I couldn’t put it down. In this story we have two main characters: Syrena a Fae Princess and Aidan a Scottish Laird/Warrior. Syrena is basically from Fae (another place) and after things that happen in the beginning of the book she’s forced to go to Isle of Lewis, where Aidan is the Laird. She has to find Lachlan (Aidan’s Brother) because her father (the King) is dead, and in fae society men believe women are incapable of leading. So, Syrena sets off to find her half-brother Lachlan to bring him back to Faerie where he can rule as the new King since he’s also part Fae and can take control of the throne. She has a wicked stepmother in this case as well but I’ll leave you to discover how she plays a part in the book. There is also Aidan, whose had some traumatic experiences involving the Fae and leads him to not like the Fae at all and he’s extremely leery of it all. When his brother Lachlan was younger he could hear the fae, and it basically drove their father crazy that he could hear those voices so he kept trying to harm Lachlan. Aidan protects his brother throughout the years but still basically doesn’t like the Fae. There is a lot of emotional issues involved between the Hero and Heroine since the Hero doesn’t like the Fae (Aidan) and then there is Syrena who’s basically a Fae Princess. I bet you’re wondering how they are going to work that out right? 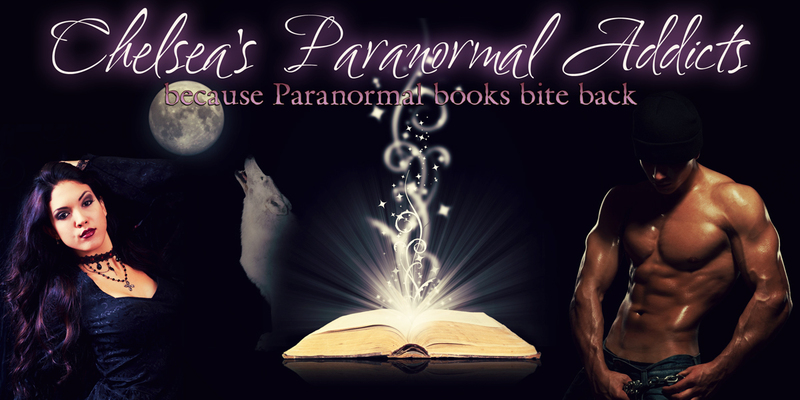 Me too… Just kidding ;) Let’s just say if you like Highlander books and you like a touch of paranormal aspect to them, then you will LOVE this book! Keep in mind this is the 2nd book in the series, when I got it I didn’t realize it was in a series because the book appears to stand on its own just fine!